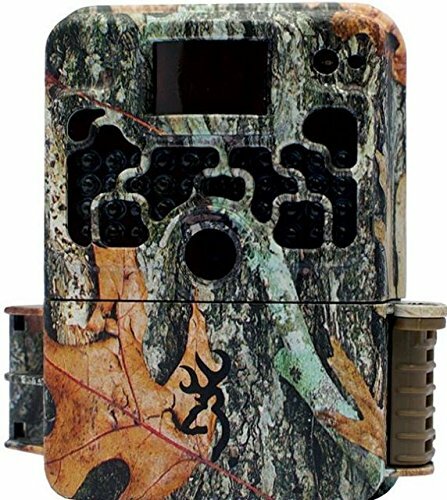 A trail camera is an important investment for any hunter. Most hunters buy several of them and install them in a number of locations in their favorite hunting grounds. But just buying any random camera and slapping it on a tree isn't going to help your hunt go any better. Here are a few tips for getting the most from your trail camera. It all begins with actually choosing the right trail camera. If you're new to the market, then you'll quickly realize there are a lot of different options. It can easily overwhelm the newcomer. There are some key attributes you can keep in mind when researching the different models. It's important to remember that there isn't a single best camera on the market, but by finding a camera with the right attributes, you can find the one that is best for you. The first feature you'll want to consider is the quality of the pictures. A camera isn't going to help much if every picture looks grainy. Does that mean you need to invest in the most expensive 1080 Full HD camera on the market? Not at all. View a few sample photographs from the camera to determine if the picture quality is high enough. You'll next want to consider the detection circuit. This is what the camera uses to detect motion and trigger the photograph mode. This circuit can affect the detection zone, the trigger time, and the recovery time. The trigger time is the most important as it is the time between when the camera senses motion and when it captures a photo. It's always a good idea to find a camera with the lowest trigger and recovery times possible. The third attribute you need to consider is the battery life. For the most part, you can remove the batteries that come with the camera and replace them with something else. That doesn't mean you shouldn't look for a camera that already has a great battery. Ideally, you want to find NiMH rechargeable batteries. Long battery life with the option to recharge can save you a lot of money in the long run. Many newer cameras also have options where you can use external battery packs to lengthen the time in use and/or connectors to link solar panels to the camera to charge it during the day! The fourth attribute is the type of infrared emitter that the camera uses. There is a lot of speculation as to whether or not animals are spooked by certain infrared emitters. Some brands market their cameras as have “no glow” emitters. At the end of the day, you can expect any sort of emitter to attract the attention of a deer, but you still want one that attracts as little attention as possible. The final attribute to consider is durability. You don't want your camera to break the first time it gets knocked down. You'll want to protect it with a heavy duty lock box, but you still want it to have some measure of durability even when it's not inside that box. 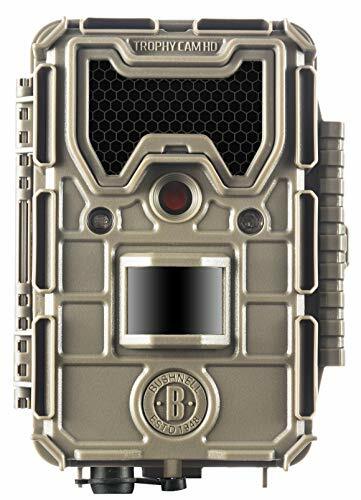 With these five attributes in mind, you should be able to browse the latest trail cameras on the market and find one to your liking. One that has decent durability, a no glow emitter, low trigger times, a high-quality battery, and acceptable picture quality. Of course, there are still quite a few models that meet these criteria. From there, it's a matter of finding the brands you like and possibly reading through some customer reviews. 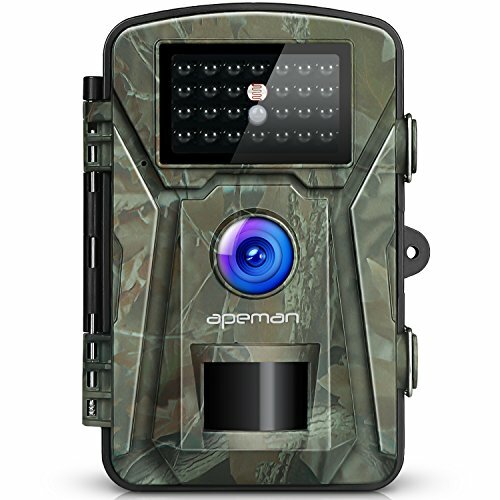 Once you have your trail camera it's time to set it up. You can't get the most from your trail camera if it's not in the right position, doesn't have the right settings enabled, or isn't pointing in the right direction. The first thing you'll want to do is adjust the settings on your trail camera. What those settings actually are can vary according to your particular model. In most cases, you'll need to input some information for the photos, such as time, date, and location. You'll also need to just a capture mode if your camera has the option for photos and videos. You might also need to adjust a time-lapse setting if you are trying to monitor a food plot. The best way to guarantee that you have the correct settings is to read the manual. You can also discuss the options on a related forum board if you are curious which settings would yield the best results in a particular area. If the camera has a cellular connection then make sure that you understand how to connect your phone to your camera(s) to get photos and video streamed to your phone at any time you want. Understanding this option is crucial as it allows to monitor remote locations from your phone without having to get to the camera itself. That can end up being a huge timesaver! It can take decades of experience to fully understand the best spots for placing your trail cameras within a specific locality. Luckily, you can follow some simple guidelines for starting out. Most cameras are placed near food plots, on actual trails, over placed bait, or near watering holes. These are all of the areas where you are most likely to find wildlife. Watching a food plot over time is the easiest way to learn about the types of wildlife in a certain area and their particular habits. You can see when the deer come to the plot, what type of deer are coming, which way they come from, and where they go when they are done. Some hunters place multiple cameras around a single food plot to gather as much information as possible. It's always a good idea to use a time-lapse setting when watching food plots. When watching a trail, you will want a camera that has a fast trigger speed. Deer and other wildlife can move quickly down these trails and you'll need a camera capable of capturing those crucial photos. The information you gather from cameras on trails can tell you where to place your tree stands. What do you do if you're only seeing bucks at your food plot late at night? This often happens because bucks rest in specific bedding areas during the day and then travel to the food plot over a long distance. If the buck were encouraged to bed closer to the food plot, then it would be easier to get a kill during hunting season. You can accomplish this by creating an artificial bedding area near the food source. But what if you're getting very little, if any, activity near the food plot? Then it might be time to start baiting your bucks. As a matter of fact, many agree that baiting is the best way to attract wildlife to your camera areas during the summer and the offseason. Baiting can be accomplished by placing a camera near a mineral lick or a feeding station. Deers consume a lot of water and potassium during the summer months. This often leaves them with a sodium deficiency. That deficiency leads to a craving for salt. Salt and mineral licks are a guaranteed way to attract bucks and doe during those months. The mineral lick or feeding station should be monitored the same way you would monitor a food plot. Time-lapse photography can provide you with a lot of information about the deer population and its diversity. There are some times when food plots or feeding stations attract a lot of deer, but none of them are large bucks. They may only be attracting does and very small bucks. So where are the big bucks and why aren't they showing up at the food plots? Large bucks have extremely high nutritional demands. They need an ample amount of protein if they want to keep their muscle mass and grow large antlers. Thus, they don't always like to eat where the does and the fawn are eating. Instead, they prefer secluded areas where there is no competition for their food. Finding these hidden retreats can be extremely difficult, but it's not impossible. It's rare for a large buck to travel more than 55 acres during the summer time. You can use that to create a target area on your map. You then spread your trail cameras around until you are able to locate the buck's feeding grounds. Once you do find it, it is extremely important that you don't visit too often. This is true of any trail camera spot, but it is even more important when tracking a mature buck. They prefer areas without competition, which, to them, includes humans. If they know you are spending time in the area, then they will move on to somewhere else. The key is to locate the spots where the mature bucks are feeding alone. Install your trail camera and leave them there for a few weeks. Resist the urge to check in every day or even every week. If you are compelled to get as many photos as possible without visiting your camera locations then using a camera with a cell interface is the way to go! As hunting season rolls back around you'll have learned a lot about the buck and be ready to bring him home. Proper camera placement isn't just about placing them near a food source or a mineral lick. It's also about how far away you place it, how high in the tree it is placed, and which direction it is facing. All of these factors can influence the quality of the photos as well as the likelihood of seeing any deer. Remember that flash, even infrared flash, can attract or spook a deer. That's why many professionals advise mounting cameras higher in the trees. If the camera is mounted above the line of sight of the deer, then they won't notice it when they turn in the direction of the flash. It's a good idea to install them several feet above the line of sight facing down at an angle. The direction the camera is facing is important as well. The ideal direction is North, though that may not be possible. The reason is that you don't want your camera to be facing the sun. The changes in temperature and the movement of leaves against the sun can cause the detection circuit to trigger and take photos. If you've ever checked your camera only to see a hundred photos of the trees and the sun, this is why. Bucks don't know when hunting season starts or when it stops. If they know you've been in their territory, they will take the necessary precautions to protect themselves. Anytime that you visit your camera you should mask your presence as if you were actually on the hunt. For the most part, that means covering your stench. That includes the camera as well. If you're getting the most from your trail camera, then it will show once hunting season arrives. You'll know what sort of deer are in the area, where they bed, where they eat, and where they move to each day. You'll know where to find the mature bucks and where to find the does. Proper use of a trail camera can significantly improve your next hunting season as long as you follow these seven guidelines.